After a long time we come across a smart driftwood recycling plan again. This is just like being home again for our experts as we have done a lot of projects with driftwood. These are actually the broken pieces of wood washed away on the bank of river or on sea shore with the act of water, they are washed away here. And our experts just collect them from their and think about some crazy plans of recycling these driftwood pieces. 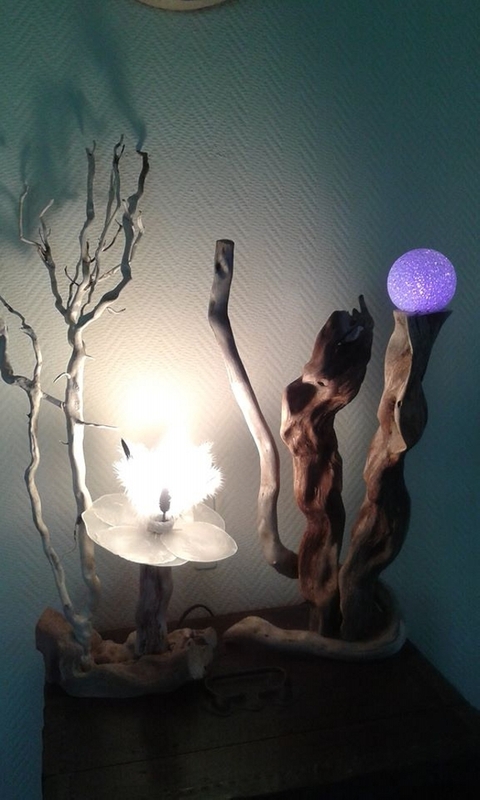 Today we have brought you a couple of recycled driftwood lamp ideas. 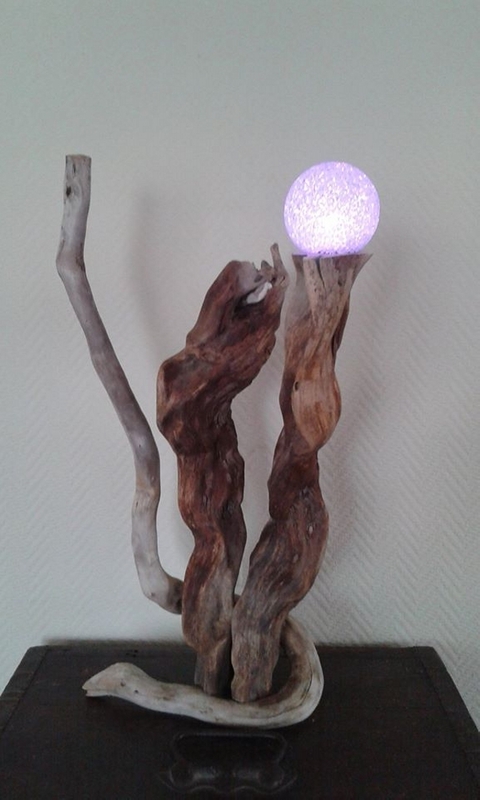 These driftwood recycled lamps are pretty handy and quite interesting to work on. For instance, just have a look on this wooden master piece. Apparently it is a rough looking raw wooden lamp. Though the lamps are considered to be a delicate room accessory, but our driftwood recycled lamps are quite different. They are wild in looks. Driftwood recycling is all about giving a new life to these broken and separated wooden pieces of trees. While giving them a new shape to the max, we can just arrange the most compatible driftwood pieces together. But their actual appearance can not be compromised as they hold a specific wild and natural look that is un even, rough and raw. And if we maneuver their natural appearance, this would not be a justice neither with the driftwood nor with the art. So these driftwood recycled lamps are just as wild and rough as they should be. 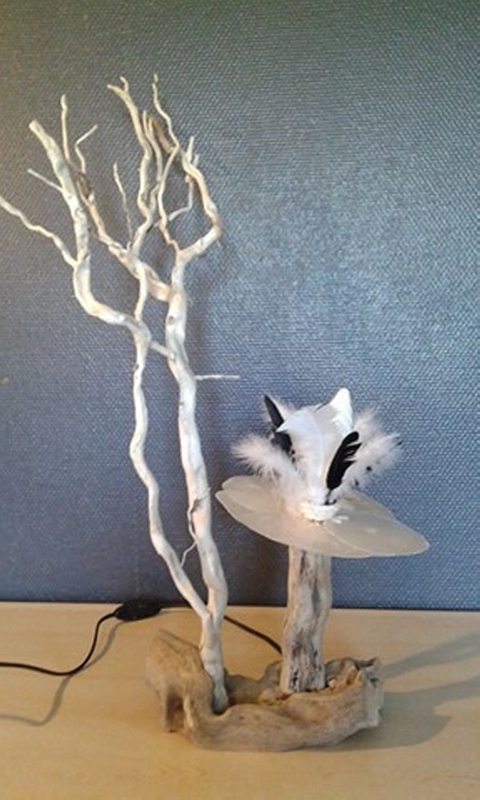 Now come towards the next driftwood recycled lamp idea. 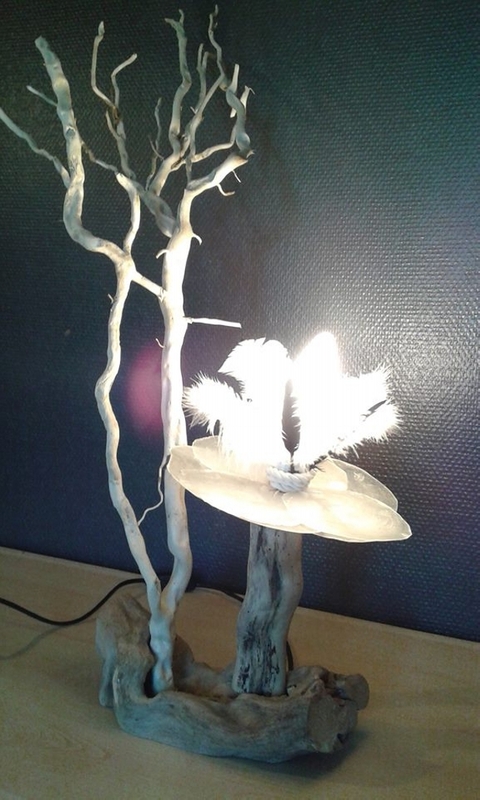 Here we have used some additional accessories like feathers, and a synthetic transparent sheet to enhance the beauty of lamp. While the driftwood pieces are same as they are picked from the sight. Such raw lamps are perfect for the art lovers who know the true essence of art.